Are you hungry to make a bigger difference in the world, knowing you have a message to share? But you secretly suspect that you're getting in your own way? 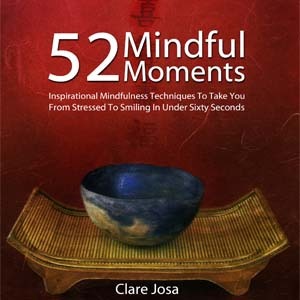 When you've been playing 'dodgems' with your inner blocks and nothing else has worked, Clare Josa's practical strategies inspire you to create breakthroughs, in less time than it takes a kettle to boil. 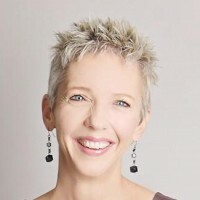 Clare brings you the tools you need to feel confident, excited and fearless about your big vision; to tame your inner critic and connect with your inner wisdom, and to magnetise your dream audience. After working with Clare, you'll finally feel ready to take the inspired actions that will get your message out there. 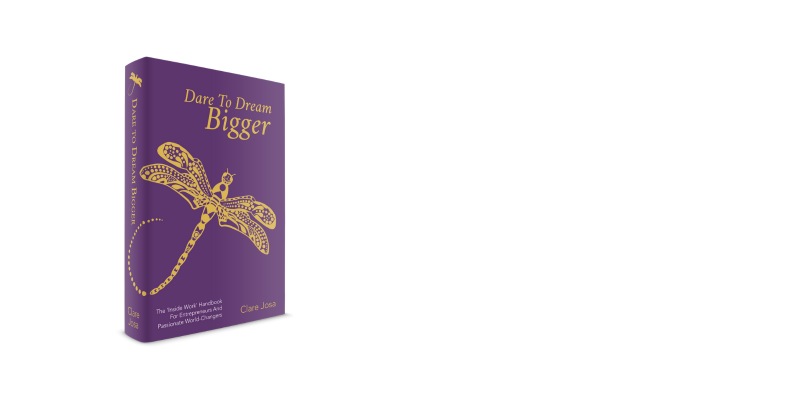 Dare To Dream Bigger - Clare's latest book - is available from all good book stores ISBN 978-1908854797), or you can get a signed copy here. 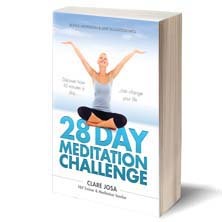 As an NLP Trainer, Meditation & Yoga Teacher and a Reformed Engineer, Clare demystifies Ancient Wisdom, blending it with the 'user manual' for your brain, to make it surprisingly easy for you to ditch your hidden blocks, and even enjoy the process. Clare has been a Mentor to Passionate World-Changers since 2002, specialising in working with business leaders and entrepreneurs, who want to step up to make a bigger difference in the world. 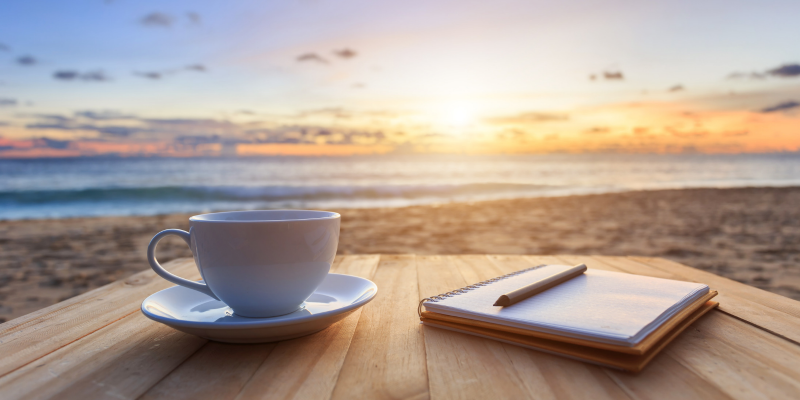 If you work with Clare, via her ﻿﻿books, online courses, Masterminds or one-to-one Mentoring, you get to do the deep-dive ‘inside work’ that sets you free to make the difference you’re here to make. You have all the answers you need, inside of you. And I would love to help you find them. Want To Work With Clare? Want to step up to the next level & get your message out there? 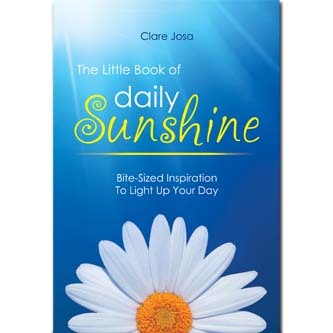 Clare Josa has been a mentor to passionate world-changers since 2002. She’s the author of 5 life-changing books, including Dare To Dream Bigger - the 'inside work' handbook for entrepreneurs and passionate world-changers. 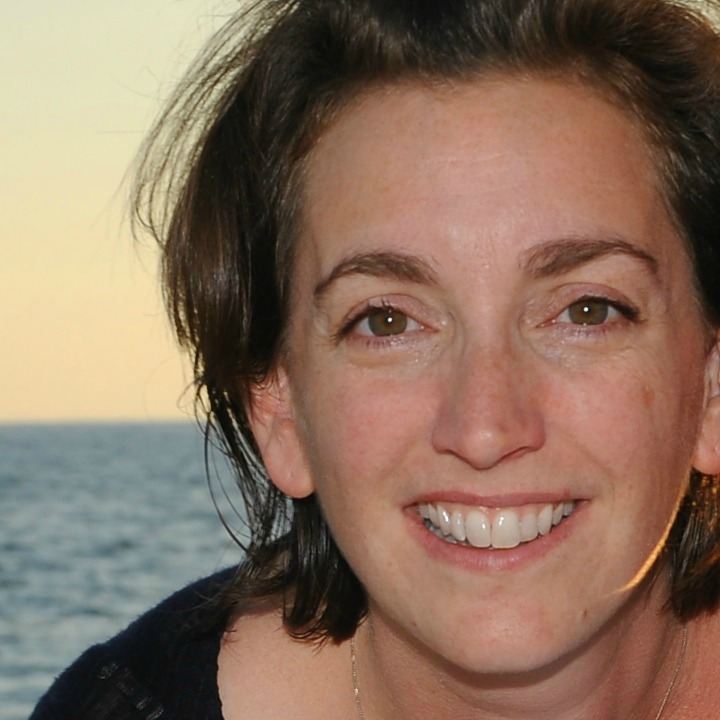 She is a long-time certified NLP Trainer, a formally-trained Meditation and Yoga Teacher Teacher, a Reformed Engineer and the former Head of Market Research for a major household name. She was awarded a First Class Masters Degree in Mechanical Engineering and Germany by the University of Sheffield (UK) and Ruhr Universitaet Bochum (Germany). Clare qualified as an NLP Trainer in 2003, and is certified to train people up to Practitioner and Master Practitioner level. In 2004 she qualified as a Language And Behaviour Consultant, specialising in identifying the hidden motivational traits we give away in our choice of words (based on Naom Chomsky’s work). In 2008 she qualified as a Meditation Teacher and in 2015 she completed her Yoga Teacher Training. She is now continuing that training to post-graduate level and will qualify as an antenatal yoga teacher and birth educator in early 2017. She has spent over a decade specialising in empowering passionate world-changers to do the ‘inside work’ so that you can get on with making a difference in the world. She is famous for allowing her inner engineer to dance with her inner meditation & yoga teacher, to demystify Ancient Wisdom into practical actions you can take today, in less time than it takes a kettle to boil. Then, as an NLP Trainer, she turns these insights into inspirational courses and Masterclasses, broken down into bite-sized chunks, so you can easily create transformations and breakthroughs, no matter how busy you are. As co-founder of the EU VAT Action campaign in 2014, she has had to overcome any remaining ‘visibility’ fears, to stand on international stages in front of people who had been studying what she was giving keynotes on for most of their careers. She is regularly interviewed by the international press and has been interviewed by numerous radio and TV stations. She’s a closet introvert and has had to use all of the techniques she shares with her clients, to get comfortable in her totally authentic, publicly visible Soul-shoes, growing her business and changing the world. Clare would love you to be able to do that, too. 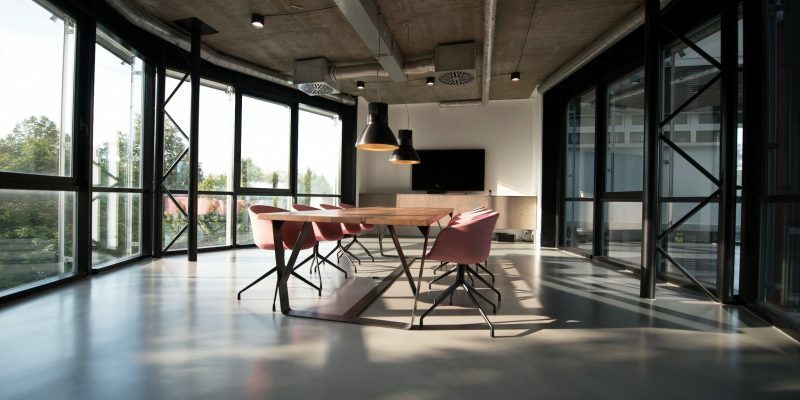 She is a member of the UK’s Institute of Directors and she speaks internationally on topics to do with the hidden and little-talked-about ‘inside work’ we need to do, if we want to make a bigger difference in the world. 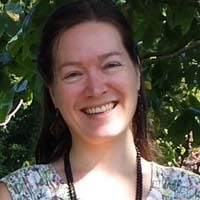 Clare lives in Sussex, in the UK, with her husband, their 3 young boys, a bouncy Jack Russell and 10 mindful chickens. What's It Like, Working With Clare? I still remember the first moment I met Clare… she greeted me like a lifelong friend, with open arms and a spectacular loving smile. Clare is full of ideas and an enthusiasm for life I have never known in anyone before or since. And yet she is real, she has her own limitations and demons which she embraces and works with and her honesty about that makes it so much easier to relate to her. Clare has a way of explaining things you already knew so you create breakthroughs. The support group made such a difference and we're still there for each other, months later. Working with Clare has been the difference between being stuck and frustrated and on the path to creating my dream business and life. Running a business was been a game until now; I realised as I read Dare to Dream Bigger that I have been undervaluing my talent and BIG ideas since I started. This revelation was AMAZING. 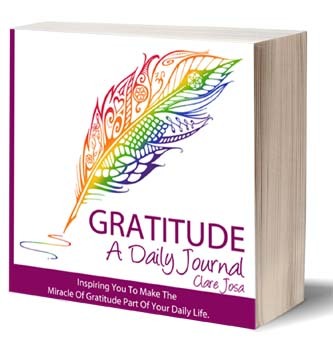 The unique way in which Clare gives you permission to dream bigger and take inspired action is affirming. There are courses on setting up your Dream Business, and there is this book. 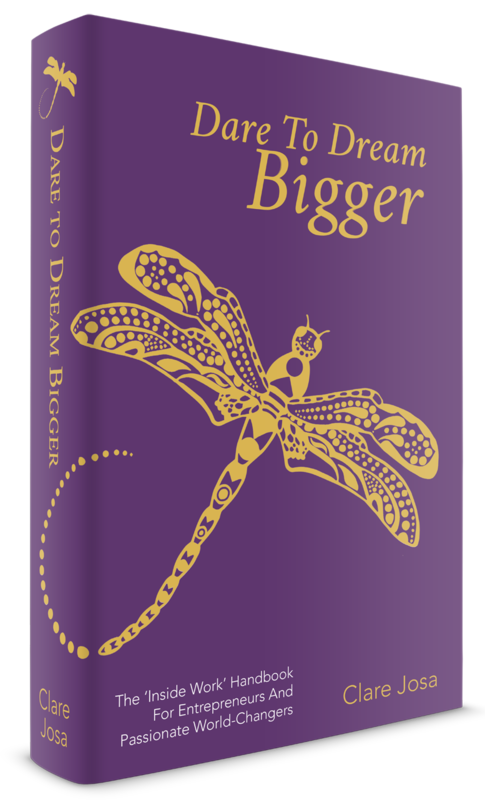 If you want to Dream Bigger than you have ever done before, then this is where to start. I have had so many ah-has with Clare’s courses and support. A big thing for me is that I now have clarity for how to pivot my business that is truly me - leverage my gifts. I have been stuck helping people with their problems outside my gifts which has slowed down my dream business. Clare also turned on the lightbulb for me so I have inner motivation to carry me all the way through. Lastly, working with Clare pushed me to get clearer on who I should focus on attracting - ideal target market, who I give the biggest transformation for. Working with Clare was the missing link for me. She speaks powerful truth about what works in the world, sharing incredible wisdom and savvy smarts in the most heartfelt way. 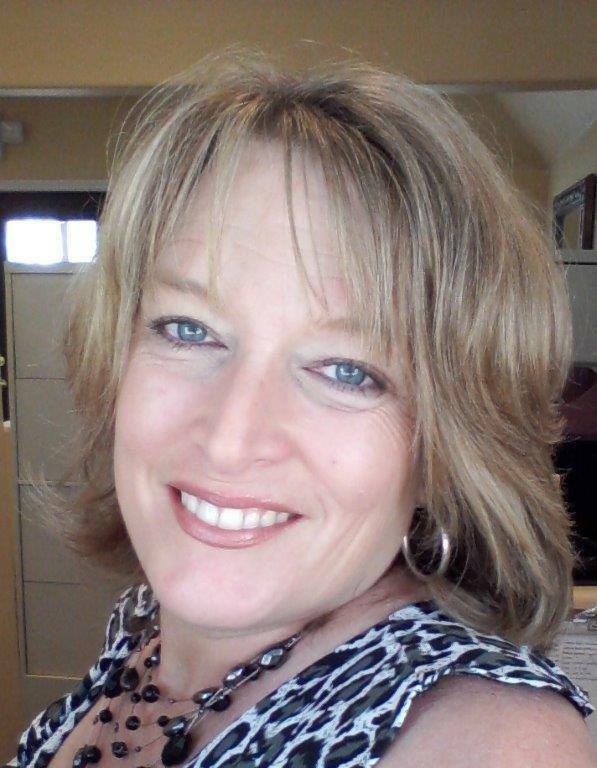 Clare’s energy and enthusiasm helped me rekindle old dreams – especially the one that says I can have a lot of fun earning a living helping others in unlimited ways! Her process illuminated what I wanted in business and why and then actually laid out how to get there! At a crucial point in my life, I got to see and feel how vitally important inner work really is as the basis for professional success. Thankful I had Clare is an understatement. The biggest change is in me – learning to trust what I know. Talk about results!